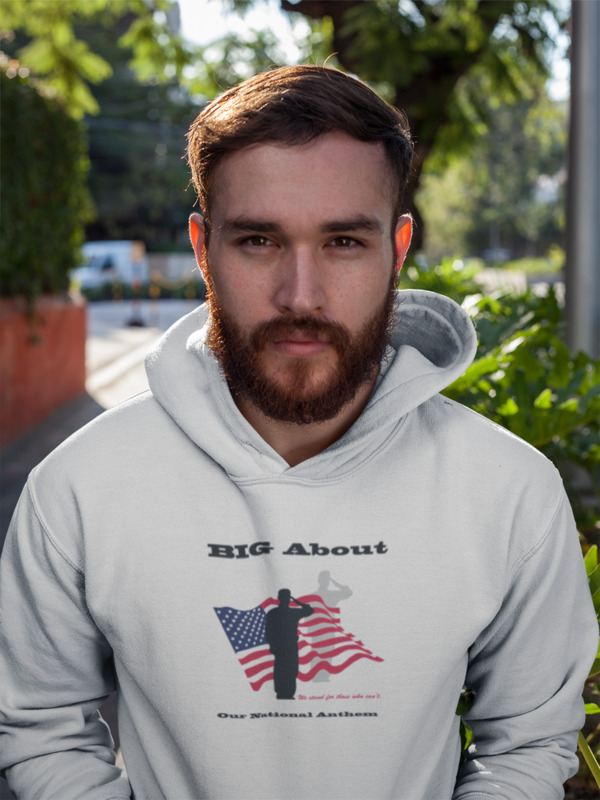 A Beautiful Hoodie that celebrates our Flag and National Anthem. The beautiful print on the shirt has Two Soldiers standing at attention Saluting our Flag. The First Soldier who is in front of our flag represents those who are still with us, the Gray Shadow Soldier behind our Flag represents those soldiers who made the ultimate sacrifice. The Caption says " We stand for those who can't". BIG About Our National Anthem. Great to wear daily or at events to show support and respect for our Flag and Anthem.